This is the second in this new series of updates about formerly featured Debut Author Challenge authors and their works published since their last update. The year in parentheses after the author's name is the year that author was featured in the Debut Author Challenge. 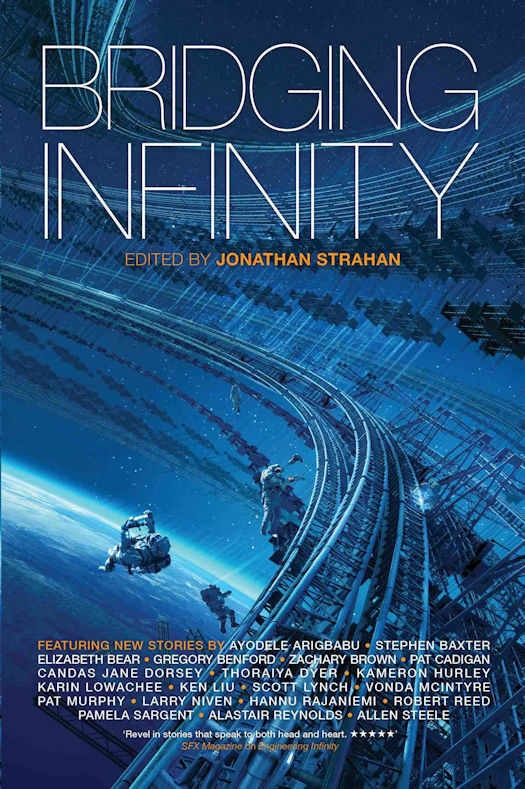 Edited by Hugo Award winner Jason Heller and Joshua Viola. The Lord Vampire of Rochester doesn’t do a favor without a price. And now it’s time to collect. Gavin Drake, Baron of Darkwood is being pestered by nosy neighbors and matchmaking mothers of the mortal nobility. To escape their scrutiny, he concludes that it’s time to take a wife. 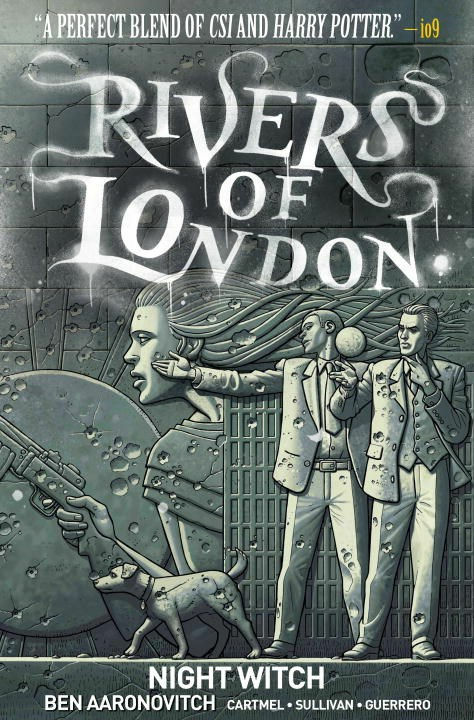 After witnessing the young vampire Lenore’s loyalty to the Lord of London, he decides she is sufficient for the role. After surviving kidnapping and abuse from rogue vampires, Lenore Graves wants to help other women recover from their inner wounds. She befriends physician John Elliotson and uses her vampire powers to aid him in using mesmerism on his patients. When the Lord Vampire of London declares that Lenore is the price the Lord Vampire of Rochester demands for aiding him in battle the previous year, she is terrified. Will all of her healing and hard work be destroyed by Ruthless Rochester? And yet, she can’t suppress stirrings of desire at the memory of their potent encounter. After Gavin assures her that the marriage will be in name only, Lenore reluctantly accepts Gavin’s proposal rather than face potential animosity from her new lord. Determined to continue her work, she invites John Elliotson to Rochester. As they help women recover from traumas, Lenore explores her own inner turmoil and examines her attraction to her husband. Gavin quickly realizes his marriage is a mistake. His new baroness’s involvement with the mesmerist is damaging his reputation among mortals and vampires alike. He knows he should put a stop to Lenore’s antics— yet her tender heart is warming his own and tempting him to make her his bride in truth. As Lenore and Gavin’s relationship blossoms, the leader of a gang of rogue vampires embarks on a quest for vengeance against Gavin… using Lenore as his key. A setup so perfect… it might just be fate. Radu Nicolae has spent centuries in a guilt-induced hibernation beneath the ruins of his family castle. The only time he awakens is to feast on the occasional vampire hunter. When Lillian Holmes invades his lair, trying to kill him for a crime he did not commit, he decides it is time to rejoin the world. As he feeds on the inept, but delectable hunter and sees her memories, he realizes that he is being used as a weapon to murder her. Radu does not like being used. Agent Lillian Holmes, of the Abnormal Investigation Unit, is sent on a mission to kill the vampire who murdered her father. But when she tries to stake Radu, he awakens. When his fangs sink into her throat, she thinks she’s a goner. To her surprise, she wakes up a prisoner. Furthermore, Radu did not kill her father. The AIU killed Joe Holmes and sent Lillian to Radu to die. Together, they strike a bargain: Lillian will help Radu travel to the United States to reunite with his long lost twin brother. In return, he will help her take down the men who killed her father. As their relationship deepens on their journey, so does the danger. Not only must they keep government agents from finding out that Lillian is alive, but she also has a secret that will rock the foundations of the vampire world. 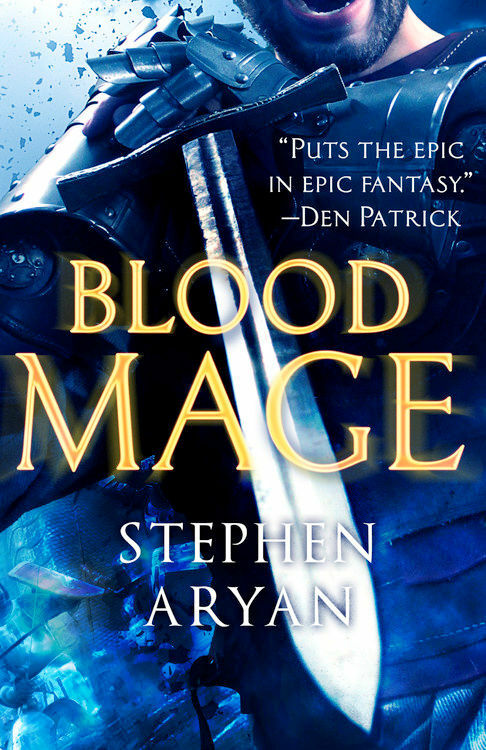 The people of Perizzi have survived the battlemage war, but their future is looking darker than ever. FRAY's expertise with magic is needed to catch the killer, but working with the Watch destroyed his father, years before. CHOSS is a champion fighter, trying to diffuse a war in the underworld that threatens to turn the streets red with rivers of blood. 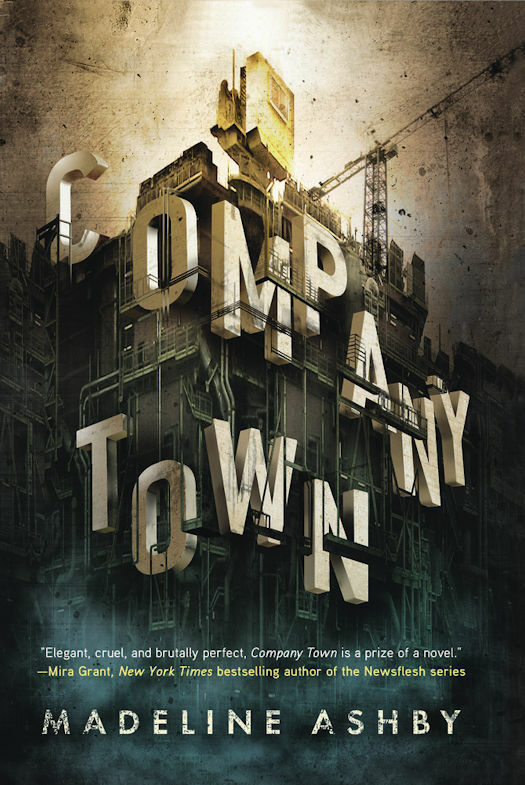 KATJA is a spy from a foreign land, attempting to prevent a massacre that will topple two dynasties and destroy the fragile peace in the city for ever. Voechenka is a city under siege. Decimated by the Battlemage War, its dead now walk the city at night, attacking survivors, calling their names and begging the living to join them beyond the grave. 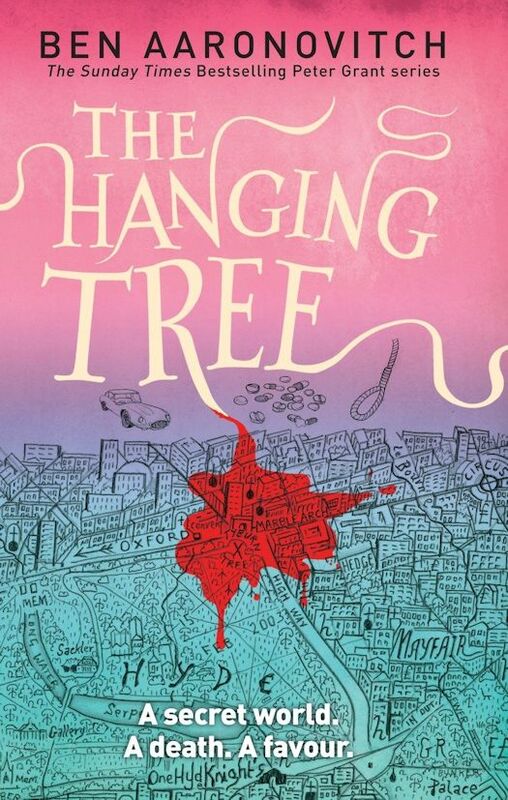 Tammy is a watchman sent to the city to investigate, so the ruling powers can decide whether to help Voechenka or leave it to its grisly fate. Zannah is a pariah in Voechenka - making up for her people's war crimes by protecting refugees who fear her far more than they fear their unearthly attackers. Balfruss is a scholar, a traveler . . . and the infamous mage who single-handedly ended the war. No one else may enter or leave the city - so if this ragtag group of survivors can't figure out what is going on, they'll live out their last few, short days within its walls. And night is coming on fast . . . 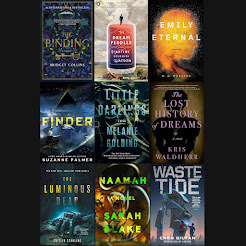 This is the first in this new series of updates about formerly featured Debut Author Challenge authors and their works published since their last update. The year in parentheses after the author's name is the year that author was featured in the Debut Author Challenge. 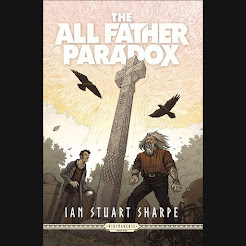 CSI meets Harry Potter in this fantastic new graphic novel conjured forth from the bestselling series of supernatural police procedural crime novels! 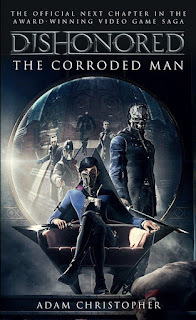 Press-ganged into helping a Russian oligarch hunt his missing daughter, PC Peter Grant and his boss, Thomas Nightingale, London's only wizarding cops, find themselves caught up in a battle between Russian gunmen, a monstrous forest creature - and their nemesis: The Faceless Man. But as Grant and Nightingale close in on the missing girl, they discover that nothing about this case is what it seems! 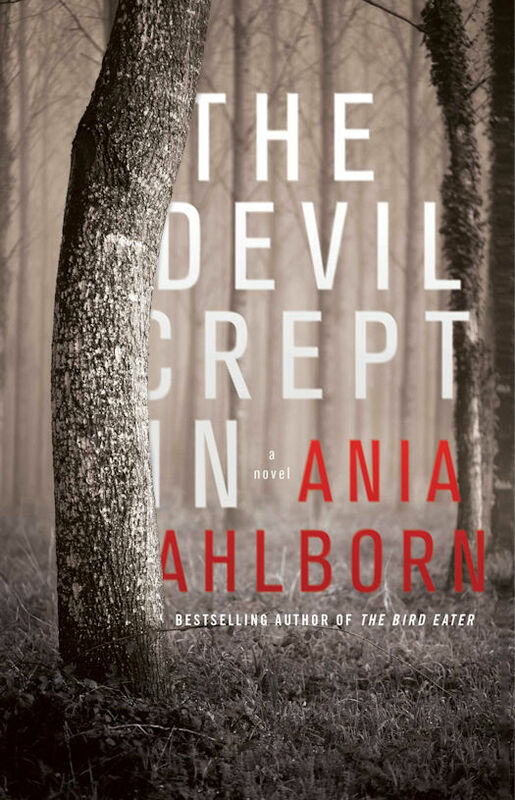 When the young daughter of a wealthy Russian ogliarch is seemingly kidnapped by mythical monster the Leshy, Peter and Nightingale must delve further into the supernatural than ever before to find the truth, before it's too late for the girl. But there is something off about this case. For one, Leshies don't exist. Two, if they did, they certainly wouldn't be found in Kent, England! The magical special unit must enlist the help of Varvara Sidorovna Tamonina, Night Witch by name and nature! But will they uncover something even more sinister along the way? 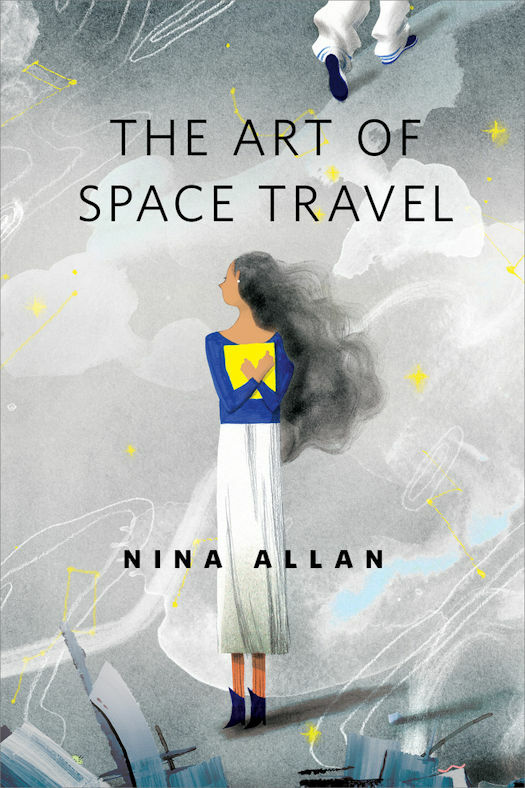 "The Art of Space Travel" by Nina Allan is a science fiction novelette. 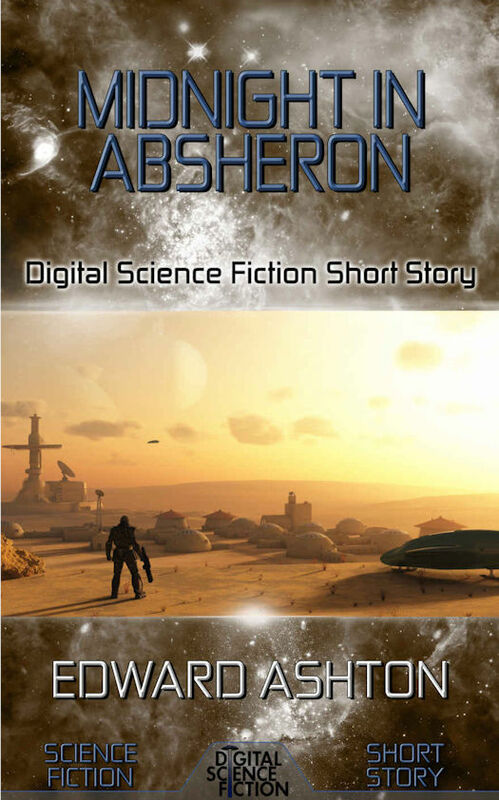 In 2047, a first manned mission to Mars ended in tragedy. Thirty years later, a second expedition is preparing to launch. 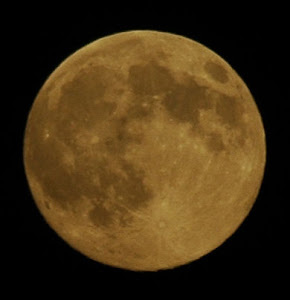 As housekeeper of the hotel where two of the astronauts will give their final press statements, Emily finds the mission intruding upon her thoughts more and more. Emily's mother, Moolie, has a message to give her, but Moolie's memories are fading. As the astronauts' visit draws closer, the unearthing of a more personal history is about to alter Emily's world forever. One house, five hauntings, five chilling stories. 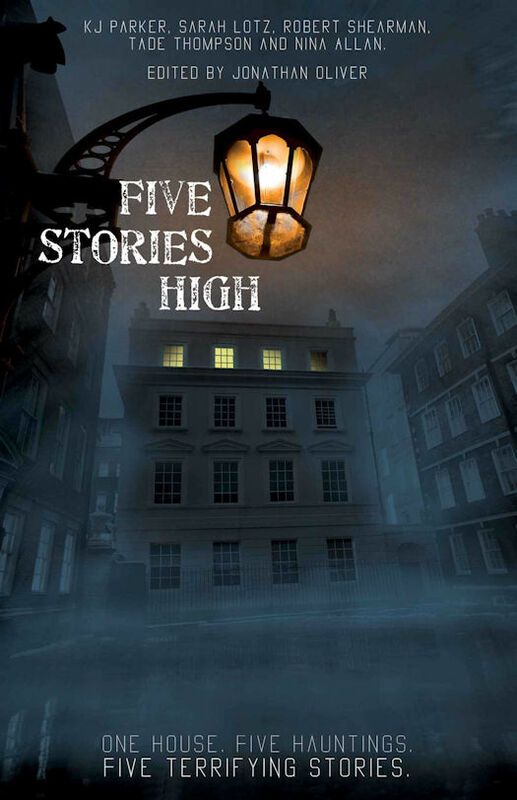 Five Stories High is a collection of five novellas each set in the same house – Irongrove Lodge. This five storey Georgian mansion, once a grand detached property, has now been split into five apartments. This is a building with history, the very bricks and grounds imbued with the pasts of those who have walked these corridors, lived in these rooms. 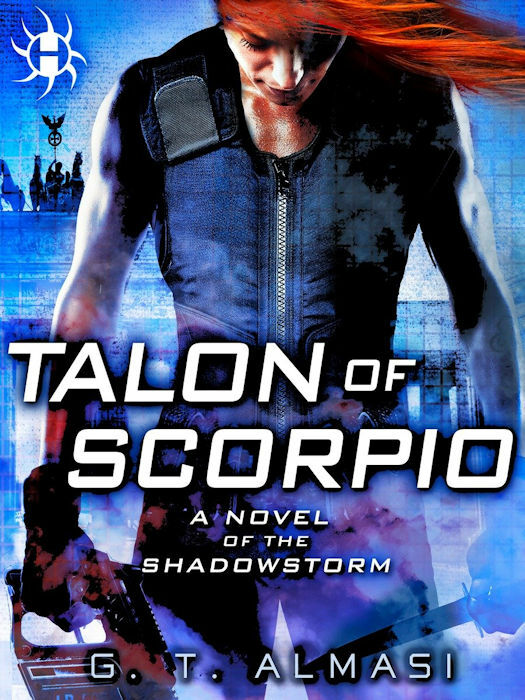 Superagent Alix Nico returns in a new Shadowstorm thriller from the author of Blades of Winter, which was hailed as “a hell-bent-for-leather mash-up of spy novel and science fiction” by Jason Bourne novelist Eric Van Lustbader. Alix Nico, code-named Scarlet, is a one-woman demolition derby. As a top American Level, she’s a cybernetically and biologically enhanced operative fighting a Cold War among the forces of freedom, a Soviet Union that never fell, a China hungry for power, and a Germany that emerged from World War II more powerful than ever. There’s a mole within ExOps, the covert agency responsible for the security of the United States, who has been working to decapitate the organization’s leadership. 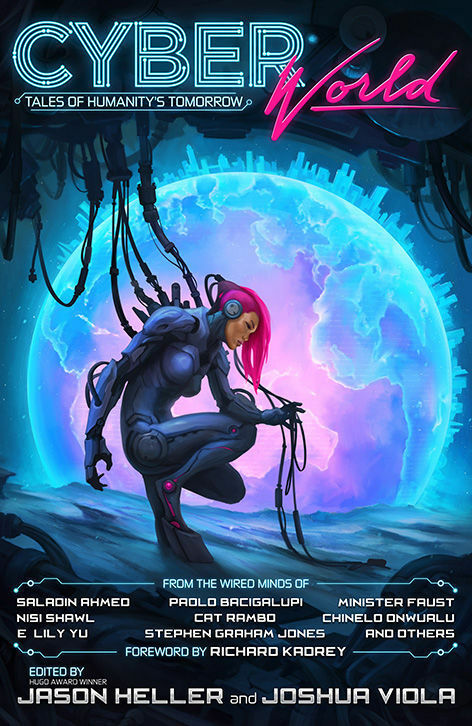 And when treason strikes, Scarlet and her partner, Darwin, find themselves matched against a rogue Level known as Talon, a merciless killing machine whose augmentations place her in a league of her own. But behind Talon lurks the real enemy, a traitor whose thirst for control threatens to upset the fragile balance of mutually assured destruction that has kept the four Great Powers from breaking into open warfare—until now. 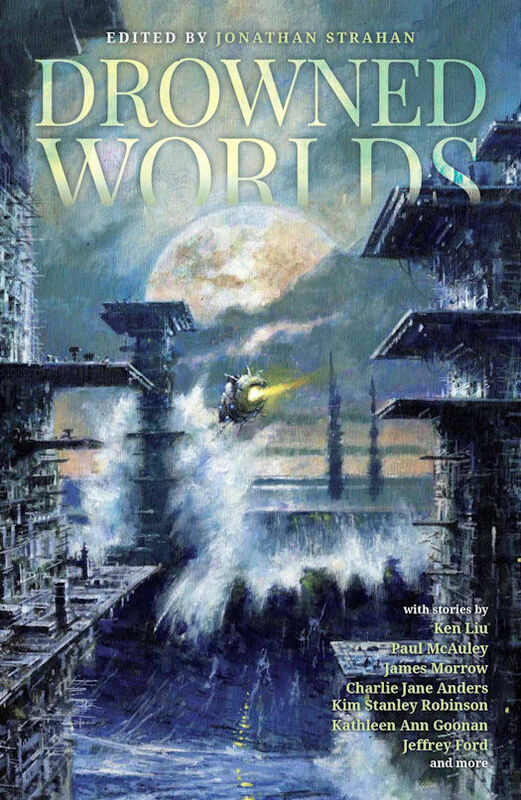 Sense of wonder is the lifeblood of science fiction. When we encounter something on a truly staggering scale - metal spheres wrapped around stars, planets rebuilt and repurposed, landscapes re-engineered, starships bigger than worlds - the only response we have is reverence, admiration, and possibly fear at something that is grand, sublime, and extremely powerful. Please welcome Delia James to The Qwillery. 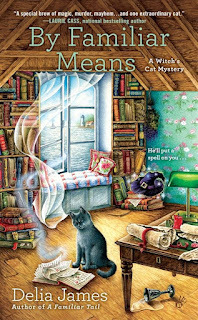 By Familiar Means, the 2nd Witch's Cat Mystery, was published on September 27th by Berkley. So, it turns out cats have taken over the world. This is not going to be news to cat owners, or to cats themselves. They just wonder why it took so long for the rest of us to notice. I am a cat person. I grew up with cats. When I was little we had a highly independent calico named Buttercup who learned to walk without making her bell collar ring and who mercilessly teased the great dane who lived next door. Since then, I’ve shared my home with a number of felines, from my (frankly) psychopathic Siamese, to Kuzbean who loved everybody, except Isis, to our current kitty, Buffy the Vermin Slayer who is sitting by my shoulder as I type this up. Every last one of them has known their exact position at the center of the universe, and every last one of them has made sure that it was remembered. So, it shouldn’t come as a surprise to anybody that I drew heavily on my personal cat experiences, as well as the cats owned by friends and family to create the character of Alistair for the Witch’s Cat mysteries. For instance, Colonel Kitty, the black, three-legged cat owned by Frank Hawthorne, is the namesake of a cat owned by good friends of mine, who was able to climb trees, fences, chairs faster than most four-legged cats. Miss Bootsie, the cat at the Harbor’s Rest hotel, may or may not be related to any number of cats I’ve met in bookstores and bed and breakfasts. Alistair, however, is his own particular self. Big, sassy, convinced (and rightly so) of his own intelligence. But loving and loyal. When he feels like it. One of the reasons I enjoy writing the witch’s cat mysteries so much is the relationship between Anna and Alistair. 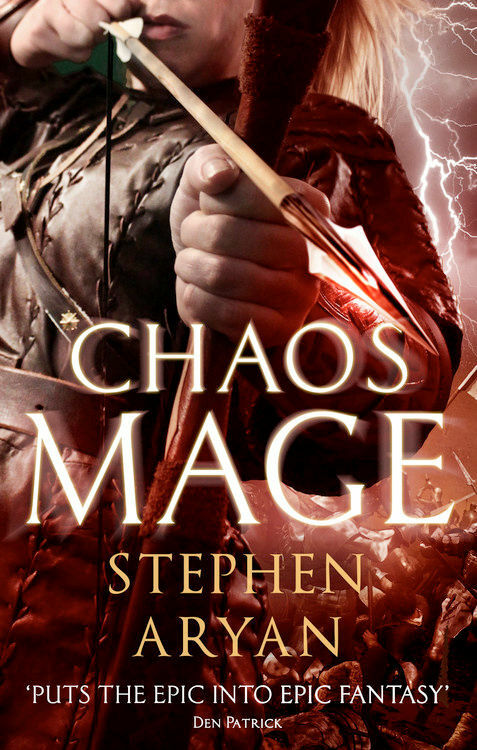 They are such a great team, and Alistair’s personality just leapt off the page as soon as I began to write him. Like his human friends, Alistair has more abilities than average, and maybe an extra helping of smarts (although my own cats would argue this point). Despite this, I’ve tried to keep him one hundred percent cat. For instance, He sits on everything; papers, laundry, open books, toes that aren’t moving fast enough. The state of his food bowl is of constant and intense importance to him, especially if it is not full, or is full of the wrong thing. This last is borrowed straight from a trick of Buffy’s of standing at the bottom of the stairs to our room and meowing, loudly, at five in the morning, because we haven’t gotten up quickly enough (For the record, I am not exaggerating about the five in the morning part). Frustration. Exasperation. Confusion. Laughter. A little strange fame, or maybe infamy. Magic. The kind of love that you would not choose to live without. That is what it is to be a cat owner, and that’s what I want to pour into the pages of the Witch’s Cat books. In the latest from the author of A Familiar Tail, a witch and her familiar find trouble brewing at a coffee house. 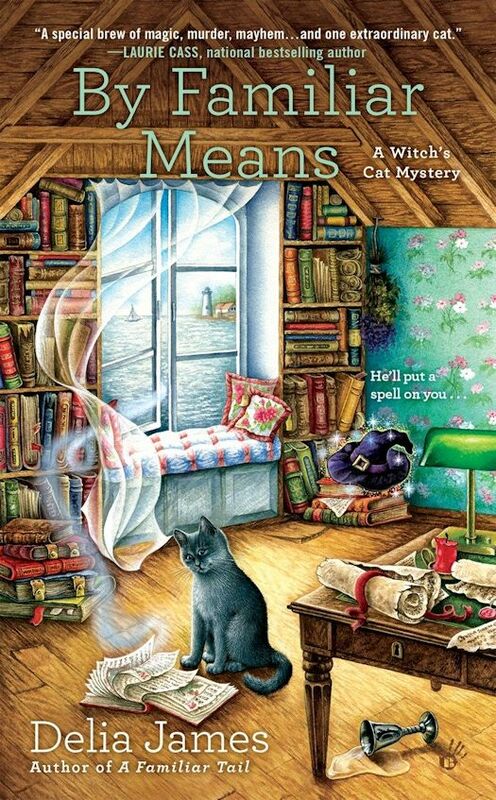 By Familiar Means in the second installment in Delia James' Witch's Cat Mystery series. The story follows Annabelle Britton, who has recently discovered that she is an honest-to-goodness witch, as she navigates her magical studies and new life in Portsmouth, New Hampshire. While training with local witches to hone her latent skills and entertaining her eccentric grandmother, from whom Annabelle has inherited her magical powers, she also manages to stumble upon a body and finds herself investigating the murder to help her new friends. This book builds upon the solid foundation that was laid in the first book of this series. 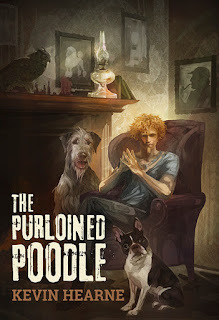 The author expands the depth of recurring characters and draws more color into the locals, both magical and mundane. As with the first novel, Alistair, Annabelle's feline familiar is featured heavily and is given a delightful personality. The mystery moves nicely and is given a very satisfying ending. I look forward to seeing what Annabelle, Alistair, and her magical crew get mixed up in next. 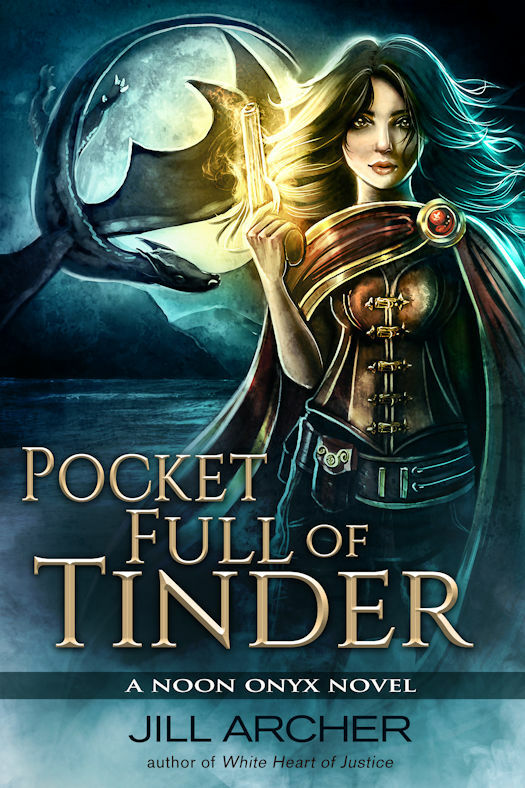 Suddenly saddled with a witch’s wand and a furry familiar, Annabelle soon meets a friendly group of women who use their spells, charms, and potions to keep the people of Portsmouth safe. But despite their gifts, the witches can’t prevent every wicked deed in town…. Born in California and raised in Michigan, Delia James writes her tales of magic, cats, and mystery from her hundred-year-old bungalow home. 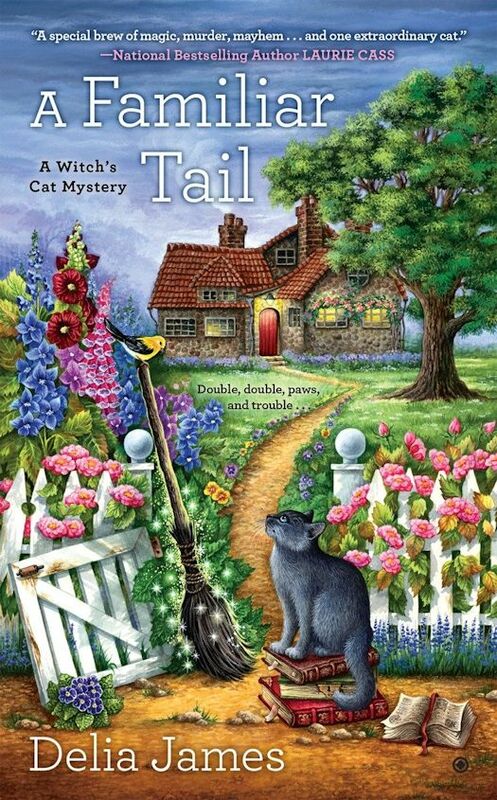 She is the author of the Witch’s Cat mysteries, which began with A Familiar Tail. When not writing, she hikes, swims, gardens, cooks, reads, and raises her rapidly growing son. Who and When: The contest is open to all humans on the planet earth with a US mailing address. Contest ends at 11:59 PM US Eastern Time on October 7, 2016. Void where prohibited by law. No purchase necessary. You must be 18 years old or older to enter. 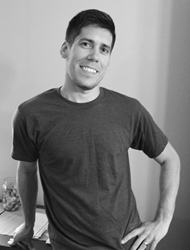 Please welcome Colin Gigl to The Qwillery as part of the 2016 Debut Author Challenge Interviews. 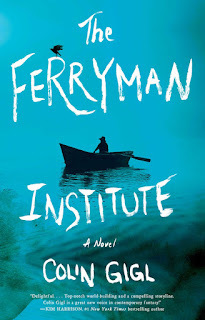 The Ferryman Institute is published on September 27th by Gallery Books. Colin: Thank you, happy to be here. I started writing some time around age 3 or 4, I think — "mom" being the first, last, and only word in my debut, which was awarded an illustrious place on the family fridge. I began taking it more seriously in college after a professor made the mistake of saying she thought a piece I wrote was funny. You can blame her for this. I started writing because I (usually) enjoy it, at least when I'm in the moment. Sometimes, when you're writing, the world sort of falls away, and when you snap back to it, you've got 100 words on the page you don't really remember writing that you can't believe are your words... That's a special feeling. Colin: Mostly pantser, sort of hybrid though. On the plotting side, I'll jot down key points or themes I want to try and hit, and I don't like to start writing the first draft until I've got at least most of the narrative shape in my head. Other than that, though? Pure flinging spaghetti at walls. Colin: Getting the spaghetti to stick to the wall. Pasta just doesn't adhere well to smooth surfaces. Honestly, there are a lot of challenges, but I think the biggest I face is doubt. I often have a nagging feeling that every word/sentence/paragraph I write has some alternate, perfect version, but I'm just not talented enough to see what that is. Dealing with that feeling can be tricky. I've just tried to accept this weird duality of not being easily satisfied with what I have on the page while also recognizing that not everything will be perfect and I can only do the best I can. Colin: Marketing comparisons aside, reading Christopher Moore growing up really changed the way I looked at writing. Here was a guy writing genuinely laugh-out-loud speculative fiction. Up to that point, I hadn't realized that authors were allowed to be funny. I know that's strange to say, but that's how it felt to me. Also, THE MASTER AND MARGARITA left a big mark on me — I loved its magical realism. That really struck a chord with me. Mythology obviously influenced me, too. After that, the list gets pretty exhausting. TQ: Describe The Ferryman Institute in 140 characters or less. TQ: Tell us something about The Ferryman Institute that is not found in the book description. Colin: I think this story can be a bit sadder and/or more introspective than the description lets on. I certainly hope it earns a smile or two along the way, but it's not exactly light fare. Also, there's kissing. So, uh, if that grosses you out, or something, you should be aware of that, I guess. Just saying. TQ: What inspired you to write The Ferryman Institute? What appeals to you about writing contemporary fantasy? Colin: Someone very close to me was battling with severe depression, among other things. I woke up one morning with the distinct thought of _What if you wanted to kill yourself, but couldn't?_ I know that's not exactly the cheeriest thought the world has ever been privy to, but it was an interesting and almost reassuring idea at the time. The rest sort of snowballed from there. The thing I enjoy about fantasy is that, as the author, you get to design the rules, so to speak. You want a character who can jump off cliffs all willy-nilly because he feels like it? Go for it. I believe fantasy carries these inherent elements of discovery and suspense, even when dealing with the mundane, because at any given moment, the story can tap into the unexpected. There is always the potential for surprise and wonderment around every corner in a good fantasy. TQ: What sort of research did you do for The Ferryman Institute? Colin: I shudder to think what my Google search history looks like thanks to this book. Psychologists would probably have a field day with that: "Well, given his Googling on myths, suicide, the Lincoln Tunnel, and affect versus effect, we can only conclude he was an acolyte in an ancient cult going to perform a sacred blood ritual in the Lincoln Tunnel. Oh, and his grammar was horrifyingly atrocious." TQ: In The Ferryman Institute who was the easiest character to write and why? The hardest and why? Colin: Easiest: toss up between Alice and Cartwright. For whatever reason, their voices came naturally to me — it felt more like I was taking dictation than I was writing them. Hardest: Javrouche. He ended up getting rewritten several times. His using of French honorifics was actually from one of the latest drafts, so he was evolving even to the very end. TQ: Why have you chosen to include or not chosen to include social issues in The Ferryman Institute? Colin: I think having a fantastical lens to view a story through sometimes brings issues in the real world into sharper focus. The suicide angle was more of a personal desire to try and tell a story that was ultimately about hope -- that, even at the possible moment, when all seems lost, there's still a chance things can turn around. TQ: Which question about The Ferryman Institute do you wish someone would ask? Ask it and answer it! Colin: "What's the best way to give you several hundred million dollars as gratitude for bringing this book into the world?" What a great question that would be to get, right? On a more serious note: "What do you hope to accomplish with this book?" Really, I just wanted to tell a good story. My writing has a ways to go, but if I could provide the means by which a reader loses him or herself for a while, I'd be thrilled. If it helps someone pick up a little bit of hope when they were in need of it, well, all the better. TQ: Give us one or two of your favorite non-spoilery quotes from The Ferryman Institute. Colin: Oof... Really tough to pick a favorite, but here's one I enjoy: "Death was such an abstract concept right up until the point when it wasn’t anymore." Colin: Hopefully another book, but I'm trying not to get too ahead of myself. I feel extraordinarily lucky to even have a chance to share this book with the world, so surviving this one is where my head's at. Colin: Thanks for the opportunity! In this stunning, fantastical debut novel from a bold new voice in the bestselling traditions of Christopher Moore and Jasper Fforde, a ferryman for the dead finds his existence unraveling after making either the best decision or the biggest mistake of his immortal life. Ferryman Charlie Dawson saves dead people—somebody has to convince them to move on to the afterlife, after all. Having never failed a single assignment, he's acquired a reputation for success that’s as legendary as it is unwanted. It turns out that serving as a Ferryman is causing Charlie to slowly lose his mind. Deemed too valuable by the Ferryman Institute to be let go and too stubborn to just give up in his own right, Charlie’s pretty much abandoned all hope of escaping his grim existence. Or he had, anyway, until he saved Alice Spiegel. To be fair, Charlie never planned on stopping Alice from taking her own life—that sort of thing is strictly forbidden by the Institute—but he never planned on the President secretly giving him the choice to, either. Charlie’s not quite sure what to make of it, but Alice is alive, and it’s the first time he’s felt right in more than two hundred years. When word of the incident reaches Inspector Javrouche, the Ferryman Institute's resident internal affairs liaison, Charlie finds he's in a world of trouble. But Charlie’s not about to lose the only living, breathing person he’s ever saved without a fight. He’s ready to protect her from Javrouche and save Alice from herself, and he’s willing to put the entire continued existence of mankind at risk to do it. Written in the same vein as bestselling modern classics such as The Eyre Affair by Jasper Fforde and A Dirty Job by Christopher Moore, The Ferryman Institute is a thrilling supernatural adventure packed with wit and humor. 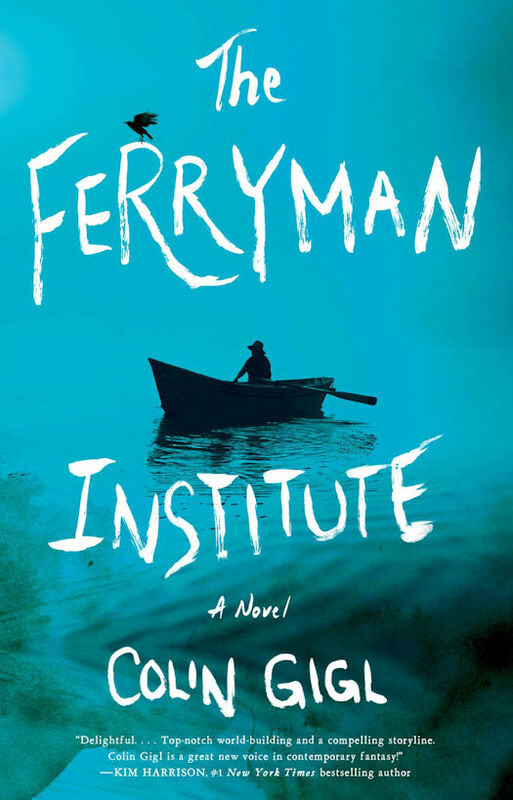 The Ferryman Institute by Colin Gigl is the story of Charlie Dawson, Ferryman extraordinaire. He's been working as a Ferryman for over 200 years and he's exhausted. He's tired of ferrying. He's tired of saving the day when a death is difficult and the soul he's dealing with may be traumatized. He's spending more and more time away from the Ferryman Institute. Out of the blue he receives a special and secret assignment from the President of the Institute. He's sent to ferry Alice Spiegel after she commits suicide. But for the first time ever he's given the choice to save a person or not. Charlie saves Alice. There are many rules that Ferryman have to obey including not revealing themselves to living humans. Charlie breaks this rule (along with others) and he is in a huge amount of trouble - being locked up for centuries trouble! Inspector Javrouche who is the internal affairs officer is after Charlie for this breach among others. Charlie is a wonderful main character. He's conflicted about what he does. He's compassionate and caring. He's somewhat sarcastic and funny. However, his work has become senseless to him. He has good friends at the Institute. Individuals who are worried about him, but he bottles up everything he is feeling and continues to do his job. He's one of the best Ferryman that has ever existed and the Institute needs him. He's greatly admired, but that is not enough for him. He doesn't want to be a hero. Alice has had a difficult life recently - she's going nowhere professionally, she's been heartbroken in more ways than one, and she sees no continued use for her existence. Meeting Charlie (and not killing herself) starts to bring her out of her sadness. She's got a spark of self-worth left. If Charlie can nurture that, Alice may have a chance. She's a terrific counterpoint to Charlie. 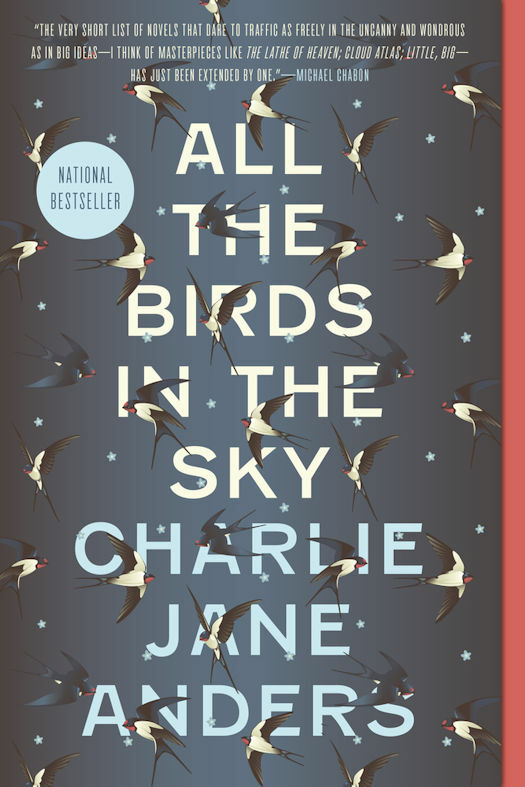 She's strong and independent but needs to lean on Charlie to see that she has much to live for. Inspector Javrouche is mean, spiteful and really, really dislikes Charlie. There are reasons for this which become apparent over the course of the novel. His behavior towards Charlie is the catalyst for a lot of what happens in the novel though Charlie's saving of Alice is the linchpin event. There is a fabulous cast of supporting characters as well - Charlie's friends and co-workers. In particular his best friend and mentor, Cartwright, is just lovely. The Ferryman Institute is steeped in Greco-Roman lore. The Institute's history is deeply interesting and there are quite a few surprises about the Institute's founding, how it works, and its bureaucracy. Gigl has created a well thought out and developed backdrop to the novel. The Ferryman Institute is a terrific novel. It's full of action, tension, excitement, and fascinating characters. It's a really, really fun read with moments of both laughter and introspection. Charlie Dawson is a reluctant hero, but a hero nonetheless. Colin Gigl is a graduate of Trinity College with degrees in creative writing and computer science (no, he’s not quite sure how that happened, either). He currently works at a start-up in New York and lives with his wife in New Jersey. New York, NY—September 21, 2016 — The security of the Marvel Universe is fractured. The world’s first line of defense, S.H.I.E.L.D., can no longer be trusted. The United States no longer has a super-spy agency with its best interests at heart – until now. Prepare for the U.S.AVENGERS! They’re the team you can trust! For the launch of this all-new series, U.S.AVENGERS #1 will feature over 50 unique variants assigning one Avengers to that state! Sam Wilson soars high over Maryland, Iron Man rockets across the Golden State of California, Black Widow defends the Constitution State of Connecticut, and Spectrum shines a light on evil in Louisiana. With more state variants to be revealed in the upcoming days, which Avenger will be protecting you? The Ferryman Institute by Colin Gigl. 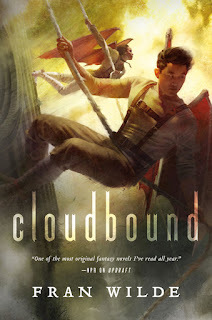 Cloudbound (Bone Universe 2) by Fran Wilde. Note: Not all of these genres and formats are represented in the book above. The October Daye Reread Blog Tour and Giveaway!